Nothing stirs up passions more than the controversy generated when parents are at war over the custody of a child. My exposure to custody wars came from the mothers and fathers attending my Breakthrough Parenting® classes at The Parent Connection, Inc., an agency that I founded in Los Angeles in 1983. Many of the parents in my classes were litigating over child custody. Most said that they wanted to settle the case, but none of them would settle by giving up all access to their child, which seemed to be the only other alternative open to them. It was disturbing to see that in many of these cases, the child was behaving outrageously, to the point of cursing one of their parents, and kicking, spitting, and calling them stupid, mean and horrible. What can you do when one parent is intractable and vitriolic? What can you do when the child becomes caught up in the fight and starts taking sides? I came to realize that this level of conflict in custody disputes was a fallout from sweeping societal changes. In the 1960’s and the 1970’s, feminists told fathers that they should take a more active role in raising their children. Women were going to work, going back to college and pursuing careers as never before. A shift then began, and fathers became more involved in the day-to-day care of their children than was true in previous generations. was free to leave. Some have called it the “no guilt laws.” There was a proliferation of divorce that was historically unprecedented. After a family breakup, many fathers wanted to continue to be involved with the care of their children. Suddenly, they found that they had no legal right to have custody of their children unless the mother agreed to it. Due to the lobbying efforts of James Cook, founder of the Joint Custody Association, who was caught up in this problem himself, the California legislature successfully passed the first joint custody laws. Joint custody was widely seen as a better way of handling the evolving problem of how to share child custody. It was believed that it would lead to fewer fights over the custody of children because it was more equal. Other states also passed joint custody laws. These laws helped to level the playing field for fathers. The majority of mothers and fathers welcomed joint custody. Others did not. As with any trend, there was a backlash. Child custody became a highly political gender- specific issue. Thus, the ramping up of high-level disputes also began in the 70’s. In most states the tender years presumption (mother knows best) was replaced with the best-interests-of-the-child presumption of joint custody (the best parent is both parents). In the 1980’s, courts began to increasingly ignore gender in determining child custody. This removed the automatic allocation of full custody rights to the mother, so she had less time with the children. Instead, the courts looked first at how the custody could be shared, and if that wasn’t possible, judicial officers attempted to determine which parent was more interested and better able to attend to the best interest of the child. 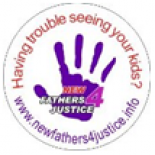 Fathers perceived that they were at a disadvantage because of a bias toward the mother having custody. Because of this, in the 1980’s more fathers than ever started showing up at parenting classes to make sure that their skills were state of the art. This is when these issues were first called to my attention. Most parents were able to share custody of their children, and they worked out childcare issues in an amicable way. A large number of women were even relieved to have fathers share in the childcare, which enabled them to pursue their personal life goals involving their education and career. 1. The child denigrates the alienated parent with foul language and severe oppositional behavior. 2. The child offers weak, absurd, or frivolous reasons for his or her anger. 3. The child is sure of him or herself and doesn’t demonstrate ambivalence, i.e. love and hate for the alienated parent, only hate. denigration. The “independent-thinker” phenomenon is where the child asserts that no one told him to do this. 5. The child supports and feels a need to protect the alienating parent. 6. The child does not demonstrate guilt over cruelty towards the alienated parent. 7. The child uses borrowed scenarios, or vividly describes situations that he or she could not have experienced. 8. Animosity is spread to the friends and/or extended family of the alienated parent. Which gender is most likely to initiate PAS? shared custody if he would be willing to follow the rules. He didn’t have the self- control to do this. When he lost custody because of his aberrant behavior, he became a celebrity in the father’s rights movement and took his campaign into national circles. No one would know from hearing him speak about his situation that there was serious pathology going on (PAS) or how hard the professionals worked to stabilize it. Moreover, in cultures where women traditionally have no tangible rights, alienation by the father can be severe. I’ve met divorcing women who had been prevented from learning how to make a living to support themselves. At the time of separation all access to financial resources were stopped and the children removed from her care. These women reported severe alienation of affection. It makes one grateful to have laws that protect human rights and enforce a better way of resolving conflict than a winner-take all approach. When parents first separate there is often parent alienation. For example, due to the anxiety of the mother, she is likely to say indirectly to a child that he or she is not safe with the father. Usually this level of alienation dies down after the separating parents get used to changes brought on by the separation and move on with their lives. However, in rare cases, the anxiety not only doesn’t calm down, it escalates. PAS parents are psychologically fragile. When things are going their way, they can hold themselves together. When they are threatened however, they can become fiercely entrenched in preserving what they see is rightfully theirs. Fortunately only a small percentage end up in this level of conflict. I believe that PAS parents have become stuck in the first stage of child development, where survival skills are learned. To them, having total control over their child is a life and death matter. Because they don’t understand how to please other people, any effort to do so always has strings attached. They don’t give; they only know how to take. They don’t play by the rules and are not likely to obey a court order. Descriptions that are commonly used to describe severe cases of PAS are that the alienating parent is unable to “individuate” (a psychological term used when the person is unable to see the child as a separate human being from him or herself). They are often described as being “overly involved with the child” or “enmeshed”. In spite of admonitions from judges and mental health professionals to stop their alienation, they can’t. The prognosis for severely alienating parents is very poor. It is unlikely that they are able to “get it.” It is also unlikely that they will ever stop trying to perpetuate the alienation. This is a gut wrenching survival issue to them. The targeted parent needs to understand what has happened to what as once an affectionate and loving child who is now unexplainably hostile. Remember Gardner’s definition stated earlier, “the disorder wasn’t only brainwashing or programming by a parent, but was confounded by what he calls self-created contributions by the child in support of the alienating parent’s campaign of denigration against the targeted parent.” It isn’t PAS in the severe form of this disorder, unless the child has crossed over and joined up with the alienating parent. The child shares the alienating parent’s psychosis. How does this happen? At birth, children are totally reliant on a parent, usually the mother, for having all of their needs met. It is part of normal child development to be enmeshed with their primary caregiver, and very young children do not have a separate identity from this caregiver. One of the mother’s roles is to help the child develop as a separate person, therefore, infancy and childhood become a series of tasks of learning how to become independent. For example, learning to putting oneself back to sleep, eating, toilet training and caring for one’s hygiene. Instead of promoting this independence, the alienating parent encourages continued dependence. The parent may insist on sleeping with the child, feeding the child (“It’s easier if I do it”), and taking care of these rites of passage longer than normal child development calls for. This “spoiling” may not feel right to the child, but they do not have enough ego strength to do anything about it. the father’s house. One of the most common ways of doing this is to sign the child up for on-going lessons without permission from the father. The parent may even decree whom the child can and cannot see, particularly specific members of the child’s extended family on the father’s side. The mother desperately wants control over the time when the child isn’t with her. One theory about why a mother will act this way is that when a father takes his share of joint custody, it is like asking her to give away part of her body. One mother said, “He is going to remove my right arm and take it for the weekend.” It feels like the mother has lost a profound part of who she is as a person. She feels fractured, pulled apart. Why is PAS a double bind for the child? When children spend time with the father, and enjoy it, they are put into a double bind. Clearly, they cannot tell the mother that dad treats them well or that they had fun together. They want to bond with the father, but don’t dare. They figure out on which side the bread is buttered (who has the power), and their survival needs tug at them. Therefore, children will tell the mother about everything they didn’t enjoy about time spent with the father, which will add to her belief that they don’t like to be with him. These children feel that they must protect the mother. The same is true when the alienator is the father. The child will avoid expressing their affectionate feelings for the mother to him. These are volatile families. The father may have indeed spanked a child, or lashed out at the mother physically or emotionally. An isolated incidence can turn into a holocaust. One father spanked his rebellious child and ended up in jail on child abuse charges, followed by a six week trial to determine his guilt. The jury returned with a not guilty verdict in 20 minutes. The verdict didn’t end it as far as the mother was concerned, however. The alienating parent’s hatred can have no bounds. The severest form will bring out every horrible allegation known, including claims of domestic violence, stalking and the sexual molestation of the child. Many fathers say that there have been repeated calls to the Department of Family and Child Services alleging child abuse and neglect. Most of the alienated fathers that I work with are continually befuddled by her lying. “How can she lie like that?” They don’t realize that these lies are not based on rational thinking. They are incapable of understanding the difference between what is true and what they want to be true. A vital part of fighting PAS is to understand the severity of the psychological disturbance that is the source of it. What makes this problem very complicated is that PAS is often intergenerational in dysfunctional families. Almost always the alienator has people within the family who support the alienation. It might be the mother, father or grandparent who encourage fighting. They are likely to support the parent financially or even provide massive amounts of money to fund litigation. This is further proof to the PAS parent that he or she is justified in what he/she does. Alienation advances even further when the alienating parent uses the child as a personal therapist. The child is told about every miserable experience and negative feeling about the alienated parent with great specificity. The child, who is already enmeshed with the parent because his or her own identity is still undefined, easily absorbs the parent’s negativity. They become aligned with this parent and feel that they need to be the protector of the alienating parent. What happens to the child when you can’t stop PAS? Obviously, without anyone to stop the alienation from progressing, the child will become estranged from the alienated parent. The relationship with this parent will eventually be severed. It is doubtful that, without psychological intervention as the child grows, he or she will ever understand what happened. The child’s primary role model will be the maladaptive, dysfunctional parent. He or she will not have the benefit of growing up with the most well-adjusted parent and all that this parent can contribute to enrich the child’s life. Many of these children come to experience serious psychiatric problems. alienated parent have been successfully reunified later in life. How can good intentions backfire? feared. The mother is very convincing in her desperation and vivid in her descriptions. The clincher is that the alienated child collaborates with the mother by saying, “Yes, I am afraid of my father.” “Yes, my father did touch me down there.” “Yes, he does beat me.” What would you do if you were faced with having to decide how to protect a child in such a situation? Some therapists don’t realize the severity and depth of the problem. In fact, they may unwittingly side with the alienating parent and even testify in court that the child is afraid of the alienated parent. This can be a serious stumbling block in getting an accurate diagnosis. Indeed, it can tip the scale into the alienating parent’s agenda and do real damage. Our courts, social services and mental health workers are all committed to stop child abuse and neglect when they see it occurring. Unfortunately, in PAS situations a dramatic and loud complaint from the alienating parent often ends up being acted upon without an investigation as to the accuracy of the allegation. This frequently removes the alienated parent from the children and allows the alienating parent considerable additional time to proceed with the alienation. By the time all of the evaluations are in place and the case is heard by the court, considerable damage has been done to the child. It is an irony that the very people we turn to for help in such a difficult situation can often be those who most contribute to allowing the on-going abuse and neglect of the child to continue. First, it takes a sophisticated mental health professional to be able to identify that PAS is occurring. Most forensic evaluators such as psychiatrists and clinical psychologists have studied the disorder and are able to recognize it. Forensic evaluators diagnose PAS by having the parents take a battery of psychological tests, doing a detailed case history and by observation. They make recommendations as to what to do. After the evaluator has written a report on the family and made recommendations, nothing will happen to resolve the crisis without court intervention. The alienated parent has to take the report to a judge who must then be convinced that the child is being alienated and that it is not in their best interest to stay in such an environment. It is rare however that judges have any degree of mental health training. They most often learn about PAS from the bench. It usually takes several trips to court to point out how badly a child is being treated before a judge is willing to act. How are PAS cases resolved legally? Judges are inevitably conservative in their orders. Even when the evidence is overwhelming that the alienation is occurring, the court order may still end up saying, “the parents are to make joint decisions about the child’s welfare,” when this is impossible to do. This is further evidence that the judge doesn’t understand the magnitude of the problem. The judge in one of the most severe PAS cases I worked on was from the old school. He was tired of having the litigants continue to appear before him. One day he said, “Why don’t the two of you go out in the hallway and kiss and make up.” This is an example of how frustrating these cases are for judges. Indeed, these are the hardest cases to decide. Judges have been slow to place serious sanctions on the alienating parent. If there is no threat of severe fines, jail time or sole custody to the targeted parent, the chances are remote that the out-of-control parent can be stopped. It usually takes a dramatic situation where court orders are broken to force the court to change primary custody. Often it is only a matter of time before alienating parents become desperate and their unstable mental health gets the better of them. People in an official position start to recognize the alienating parent as being out of line, and become supportive of the targeted parent. In one case, the 9 and 4 year old daughters were abducted and presumed to be on their way to Australia through an underground group that hides women who are victims of domestic violence, often of a sexual nature and where the father is stalking. The girls were missing for 3 months and found in another county where they were waiting for final arrangements to be made before their departure. When the police broke into the house at 3:00 a.m., they found the girls sleeping with their mother. were not allowed contact with anyone outside of their hiding place, not even to go to school. The oldest child had strep throat and the youngest was seriously withdrawn. as the father’s photograph and the story was on all the local news networks. A big part of the problem was that the seven year old girl, said “Yes” when asked if her father had molested her. Even though this had already been disproved by forensic evaluators, she was still confused. Can the alienation of children be reversed? for abuse. Presently, the daughter resides with her father, receives weekly therapy and hates the police. She gradually understands how disturbed her mother is. In the former case, where the mother was kidnapping the children, she now sees them two hours a month at the Department of Children’s Services with a social worker present to monitor everything that she says and does. The girls have also been in extensive therapy and are doing well. Since this is among the most severe kinds of abuse of a child’s emotions, there will be scars and lost opportunities for normal development. The child is at risk of growing up and being an alienator also, since the alienating parent has been the primary role model. They became good at understanding how the courts work and the law as it applied to their case. In many cases, because of excessive expenses, parents even ended up as pro per (called pro se in some states) where they were representing themselves without a lawyer. They provided the court with an appropriate parenting plan that showed how the child would be well taken care of in their care. had no interest in the child. PAS cases are notoriously difficult to figure out, even for professionals in the field of divorce. Once the syndrome is discovered, it is even harder for the professionals to figure out what to do about it. It is important for alienated parents to be supported by compassionate people while going through this difficult time. s never easy, but there is plenty of hope for those who take the high road and follow what worked for other PAS parents as shown above.